Now that she’s sixteen, Veronica is starting to wonder – will she ever find her mother? When she entered the foster-care system, her case-workers though this bright-eyed, happy little girl would be adopted immediately. 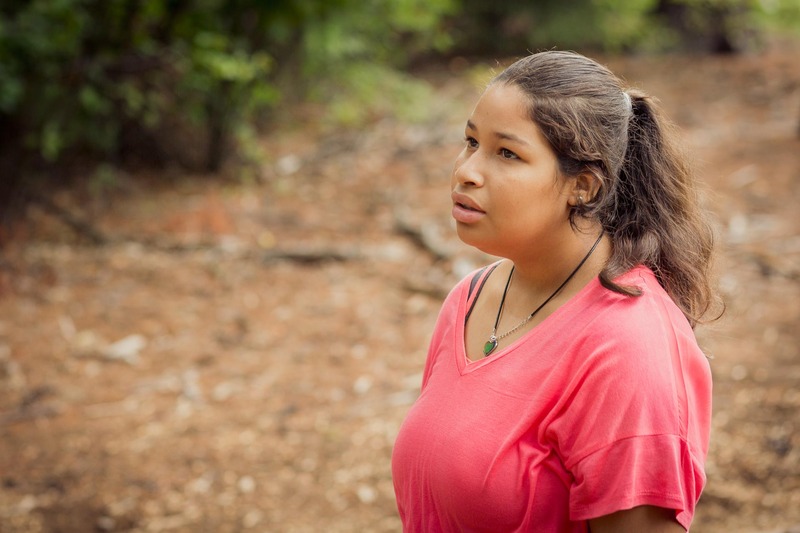 Learn why her search has been surprisingly difficult, and how we can give Veronica hope again. 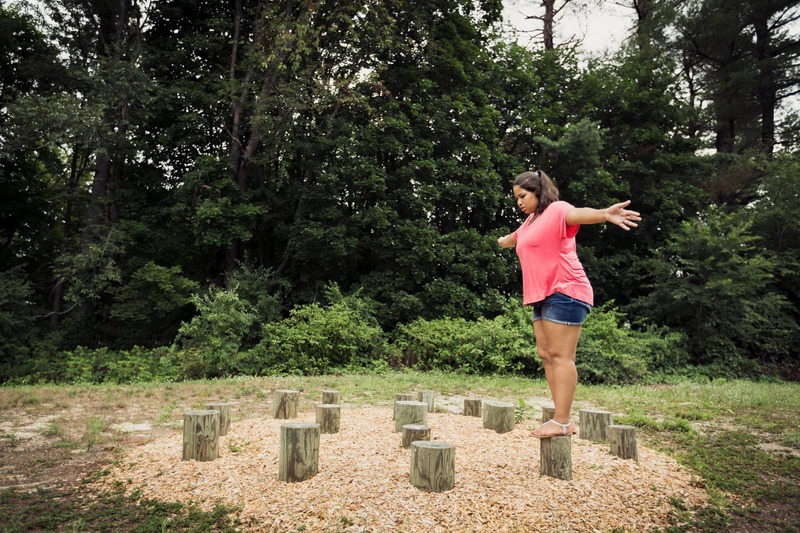 This documentary is the third in the ‘Somewhere Out There’ series, featuring the stories of children in foster care searching for adoptive families. The late summer air is so sticky and damp that a film of moisture coats the buzzer to Veronica’s building. I hope the blank white sky will hold steady and the rain will wait. I’m here to document Veronica in her natural environment and I’ve been told she likes riding a bike around the campus of her group home. I press the buzzer, introduce myself, and wait for someone to unlock the doors to the glass foyer where I wait. I’m looking forward to meeting Veronica – the smiling, engaging girl her case-workers have described. The girls who we let fall through the cracks are complex individuals, worthy and deserving of a parent’s compassion and love. I planned to showcase Veronica’s happy demeanor to swing the pendulum against a misguided cycle of perception of teen girls as volatile and high-maintenance. Before we meet, I’m told that Veronica is the first kid to start dancing at adoption parties, she loves asking questions, cooking, and making perler-bead crafts. I asked for someone who would enjoy being followed by a camera all day – someone who doesn’t mind the spotlight. They sent me to Veronica. It never did rain during our session – but we didn’t get those pictures of her riding a bike, either. Veronica turned out to be more than a cute little girl with a bubbly adoption profile. In fact, Veronica wasn’t the collection of hair-bows and smiles that I expected. Veronica is a teenage girl who has been searching for a mother for six years. Veronica is human, and six years is a long time to wait for your life to begin. – Veronica, when I ask what her future parents would love most about her. Veronica is not the cheerful and bright-eyed teen we need to counteract the bias against adopting girls. Perhaps she used to be, when she entered the system as a little girl. Six years later, however Veronica has grown into something more complex – a young woman losing hope. Heading home after our session, I spend the long drive perplexed. Why was there such a stark difference between the girl in the Wednesday’s Child segment earlier this year, and the one I met this summer? I try to catch Veronica’s smiles during our session – but they were few – and forced. After the session, I spend weeks reconciling the the engaging girl described and the crestfallen young woman in the portraits. I don’t want to destroy Veronica’s chance at happiness by telling too dark a story – but I can’t lie, and say her path back to hope will be easy. It’s up to us to hope and search for Veronica’s mother – wherever she is, so she can see through the fog and help Veronica find her way back to the bright side. What happened to dampen her light? 11-Year-Old Veronica on Wednesday’s Child. 13-Year-Old Veronica on Wednesday’s Child. 14-Year-Old Veronica on Wednesday’s Child. Her fourth attempt. She still smiles – but the brightness of it, and her faith that this will be the one – it’s dimming. How could it not? Our session is three months after the last segment aired. Three months of bruising silence. A televised Wednesday’s Child segment is the pinnacle of hope for a kid in foster-care. It means you have a social worker who is going above-and-beyond to find you a family. It means everyone believes you truly have a chance to be adopted by parents who will love you for the rest of your life. It means you have a much greater chance than the thousands of children in the foster system who remain unseen. It’s an opportunity of grand, glittery hope. A friend once told me the best way to break a person is to give them hope – and then crush it. Not just once, but over, and over, and over. I can’t help but wonder if projects like these documentaries – and the torturous silence that follows – are doing that very thing. I am careful during these sessions not to make promises. Now, I wonder, if perhaps even that small hope is too cruel. After finding the chronicles of Veronica’s search, I finally understand the fog that permeated our session. Veronica is beginning to give up. So it’s up to you now. You’re Veronica’s last hope to find her mother. When Veronica joins me, she is quiet, without the typical nervous energy most kids have at the beginning of a session. She seems kind of bummed, actually. I let her know that everyone forgets about the camera after the first hour. I tell her the policy – she’s in control, and we can capture as much or as little of her story as she wants. I tell her how this documentary session will be very different than posing for a regular portrait. Her response is surprising – and alarming. Veronica tells me she’s dislikes having her photo taken. She finds it exhausting to have people watching her and following her with equipment. This is news. I pride myself in staying inconspicuous and making families comfortable during a session – clients who hate having their picture taken later gush about how much fun they had. Families quickly learn that a documentary is more comfortable and casual than a formal sesson, but Veronica is eyeballing my small bag of gear with dread. My go-to trick is to have kids do something to distract them from the camera. But every activity I suggest is a dead-end. So I shut the camera off and just listen. After what she’s been through, the last thing she needs is another adult violating her space. I wonder, when we asked if she wanted to be featured, if she said yes because it was expected of her. I forget that children in foster care have zero control over what they eat, what they wear, where they live, and where they go – everything they do is run by a system. I forgot about the pressure on girls and women to agree to things that make them uncomfortable, just to get through the day safely. So the camera stays in my lap. For a long time, we just talk. Last summer, Veronica had a job maintaining the grounds on campus. She helped with light gardening and enjoyed the work. She beams with pride when she tells me about her reputation as the best cleaner on campus. She tells me of her glowing reviews, her shoulders relax and she smiles. I ask if she’s ready for me to take her picture, and she nods hesitantly. I snap a picture and put the camera down quickly. Veronica reminisces over the last home she was in, where the kids were allowed to go to the grocery store and help buy supplies. She liked having a part in the process. She liked being helpful. At her current program, food is delivered and caterers cook everything. She has no say in what they buy, how it’s cooked, and she has no way to help. She’s volunteered, but it’s out of her control. When I ask her what she’d like to do with her family once she’s adopted, she smiles and talks about helping around the house – cleaning, cooking, and babysitting. What she really cares about is vastly different from her adoption profile – full of needs and hobbies and wants. The thing that gives Veronica true joy is service. This becomes a theme throughout the day – all the frustrated potential of the things she’d like to do, and the roadblocks that keep her from making an impact. Later, I ask what she’d like more than anything. “A job,” she says, exasperated – she’s been searching for a while. She lost her gardening job on campus when they needed her to work weekdays – during the school day. It’s not easy to find a job that works with her school schedule. Without a car. Without guidance. Without parents. For now, Veronica is relegated to playing video-games where she bakes pies and serves the needs of customers. Even if they aren’t real, it’s the only opportunity she has to feel appreciated. When she finally finds a place to direct her efforts, she hopes to have a place of value within the community. She will gain independence and take pride in her contribution. After living in a series of foster homes, repeatedly shifted aside to make room for the next kid, she’d love to be irreplaceable. Since she just had foot surgery, bike-riding is out. Veronica offers to give me a tour of the campus, and she leads me down a crushed stone path, limping a little. We navigate past a collection of abandoned buildings. Through the windows and collapsed walls, I can still see the school chairs and light fixtures coated in dust under crumbling ceilings. Some buildings are fenced off, some are not, but she still gives each building a wide berth. She points to a tall chain-link fence and explains that the building behind is so dangerous that the fence has been electrified to keep people out. She shows me windows where she’s seen shadowy figures, and tells me spooky stories and local legends. Condemned buildings create a depressing background, and Veronica can’t walk farther to the sports field, so our options are limited. I spot a nice area with a fence and walk over to check it out. The grass is neatly trimmed, clear of poison ivy, and safe. I invite her to join me, but she won’t leave the path. The fence, she says, is there for her protection, and she’s not allowed to go beyond it. She doesn’t need to, I tell her, just to join me a on the grass. She’s worried she’ll get hurt, or in trouble. She refuses. She ends our tour at the new obstacle course. It’s amazing, full of ropes courses, swinging logs, climbing walls and adventure. I ask Veronica what her favorite ride is, and she eyes the structures warily. She doesn’t mind the log swing, but the rest of the activities are beyond her abilities. She recites a list of things she cannot do, her shoulders slumping lower and lower as her eyes raise into the sky, following the lines of ropes and pulleys. The obstacle course is the nicest I’ve ever seen. It’s something you’d expect to find at a pricey summer camp. My fingers itch to grab the ropes and swing around for a few hours. To Veronica, however, it’s an enormous, daunting list of frustration, inadequacies, and personal failure. I think back to 7th grade, when I was forced to scale a climbing wall in gym class. I was given no instructions, no practice falls, and no tension on the rope to provide confidence. I was just told to go, trusting some ancient straps and ropes to keep me from a painful fall. I got stuck immediately, ten feet from the ground, a set of hard wooden bleachers below. I didn’t know how to make the next move. The teacher wouldn’t let me down, offered no advice, and impatiently shouted for me to just go up. She kept me up there for ten terrifying, humiliating minutes as my classmates watched me fail, and in that moment I realized I was weak, and a coward. That moment, I forgot the hours I had spent scaling fences and trees, danging off balconies, and scrambling through windows. That is the day a new story was written: I am not the kind of person who climbs. It took me almost two decades to try again. I fell back in love with climbing, this time with the proper gear, advice, and support. 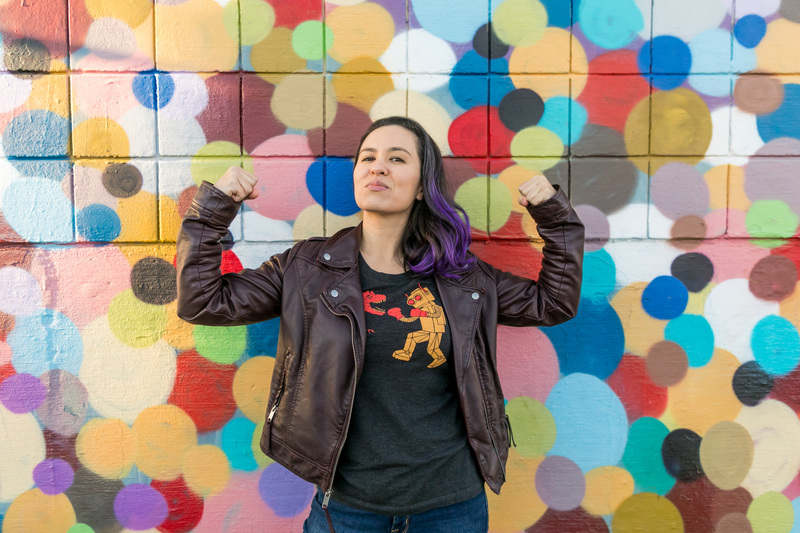 Now I know I wasn’t a weak coward, I wasn’t a failure – I just didn’t have the tools, the equipment, and the skills to make it up that particular wall. I was set up to fail. I lost so many years with something that makes me deeply happy, simply from a lack of guidance. I don’t envy Veronica. There are gaps in her knowledge that only a mother can fill. There are obstacles ahead where she will be stuck, terrified, and humiliated. For a child who has already faced more than her fair share of these experiences, it’s painful to know the road ahead will be more of the same – unless we can find a mother to guide her. As we head back to the main building, she grows quiet. She’s limping more. She stops telling stories, and she starts to curl inward. She’s exhausted, and I’m running out of ideas to turn the session around. She’s been set up to fail so many times that it’s become a part of her identity. 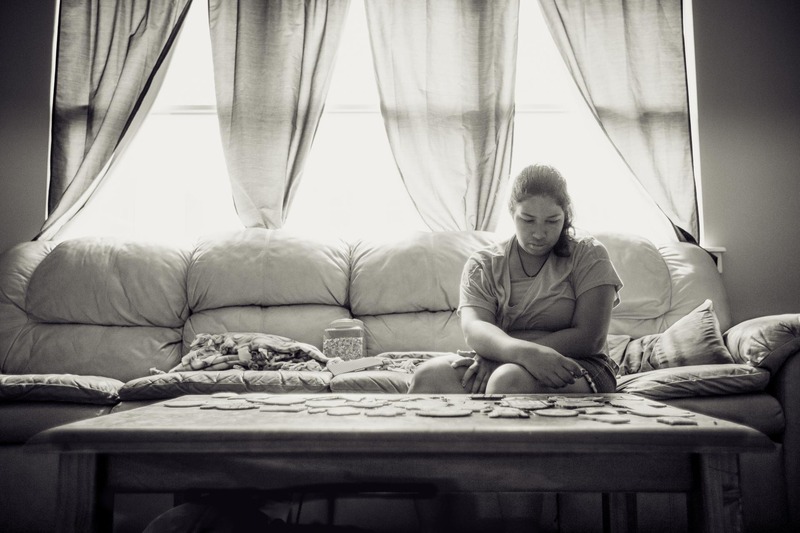 Her opportunities to shine – volunteering, cleaning, cooking, gardening, have been taken away, and all that is left are obstacles she’s not equipped to handle on her own. After asking about friends (none – she’s mainly teased by the other kids), siblings (she misses her little brother and her sister, who has been adopted), and her pets (Jack, her fish, recently deceased), she stops answering me and tells me her DCF profile has all that stuff. I get the feeling she’s tired of answering the same questions over and over. 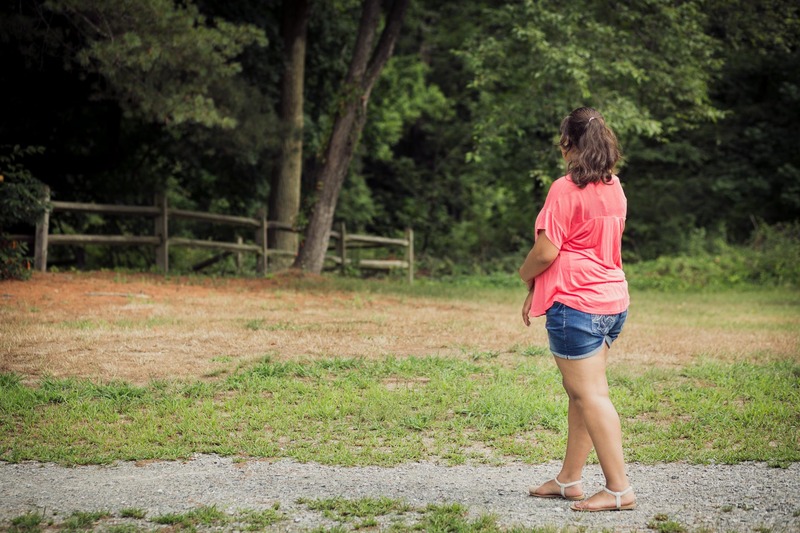 I ask what life would be like if she is adopted – what would be different? No matter now upbeat I try to spin them, my questions remind Veronica of her limitations, her lack of choices, her missed opportunities. It’s salt in her wounds. So I stop asking. 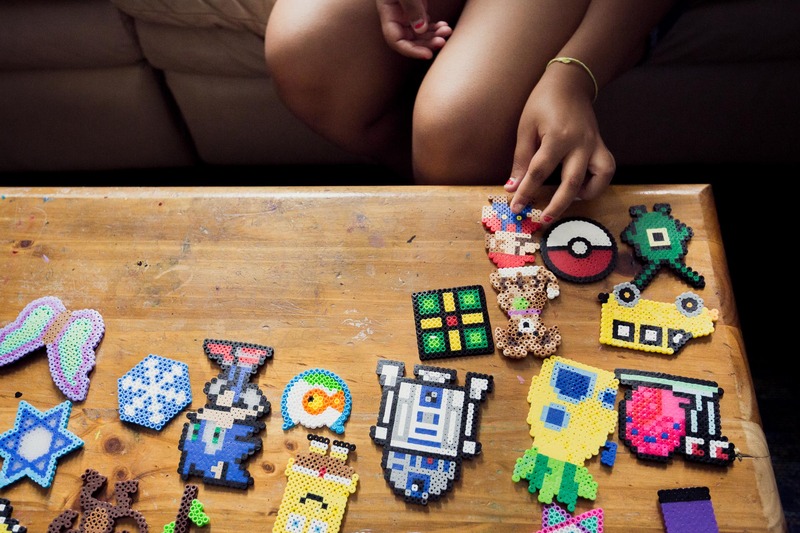 Veronica is hesitant to start a perler-bead project. 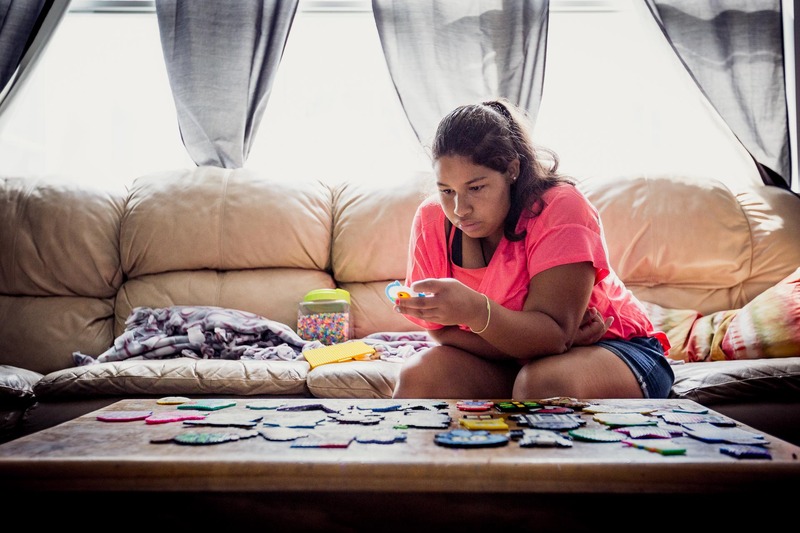 She doesn’t have the colors she needs, and pretending to make a fake craft feels dishonest. After some persuading, she agrees to gather her collection from her room, and I follow her. I’m not allowed to photograph her room. This is a shocking disappointment, since I planned to capture her personality in an environment she’s comfortable in – and this little dorm room told me so many wonderful things. There are layers of awards taped to her door, but Veronica isn’t interested in talking about them. As she gathers her perler beads, I notice a tiny bed on the floor with two dolls neatly tucked in. Beyond it, Veronica has set her bed against a wall of windows. Her desk is piled high with artwork and crafts. This is where her story is, where we could find those sweet sparks that will inspire a mother’s love – but it’s time to go back to the stark and empty sensory room, the only place I’m allowed to take pictures. The narrow room feels like a fish tank, with it’s tall walls and the light bouncing in through the large windows. Before our session, I asked Veronica to tell me what activities she’d love to do with her family. Veronica tells me that even if her foot didn’t hurt, she wouldn’t be allowed to use her bikes for our session. It’s kept in a locked shed, one she doesn’t have the key to. 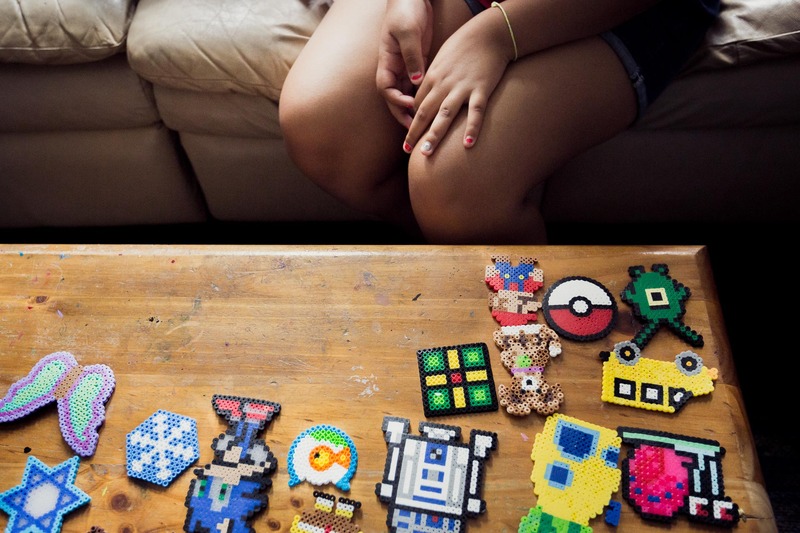 Veronica spreads her collection of perler bead designs out on the table. She picks up each design, gazes at it for a minute, and places it gently down. Many of them are intricate – her favorite is an R2D2 design. I spot Spongebob and Minecraft designs, animals, stars and trees. I ask about the only one I can’t identify. “It’s a fish.” Veronica picks it up. She looks at it for a long time, and she curls inward even further. Maybe she’s thinking about Jack, her pet who passed away recently. She still cries when she thinks about him. She tells me she wishes she could shut off her emotions, like another girl she knows in her group home – but she can’t. She got two new fish – Daisy, and another who remains unnamed. She tells me she can’t call him Jack. (Of course not.) She’s never had trouble naming pets before, but this is tough, and she’s still grieving. Jack was more than a pet. She never sees her brother and sister, and doesn’t know where they live. He was the only one here. He was her family. Will Daisy and Not-Jack spend their entire lives in a bowl, trapped in Veronica’s tiny dorm, the way Jack did? Or will Veronica pick them up one day and bring them to live with her, in a real bedroom, in a home that she shares with a loving mother? Veronica is silent. She’s folded herself in small, curled into a ball on the sofa. We still have two hours left to go. When I ask how she’s feeling, she tells me she’s exhausted. She asks me if it’s okay to stop. Of course it is. Relief. As I pack my gear back up, she unfurls, just a little. She asks me about my white balance card, and I hand it to her. I tell her she can play with it – I trust her. As she tries to collapse it and stuff it back into the storage bag for me, she laughs a little, and looks a little less tired. I tell her about the pictures I’ll edit, the album I’ll send her, the story I’ll write in hopes of reaching a family. She won’t get to see it, she says. The computers at the group home block everything. I hope maybe they will let her see the pictures, but she shakes her head. She doubts it. I tell her that I like to include a link a way to reach out – in case anyone wants to send her a card, or a gift. Does she like anything in particular? I want her to know that there are people out there who care about her, who are helping to find the mother she’s been searching for. I want her to know she’s not alone. After my recent story about Markel, a 12-year-old boy searching for a family, Kim C. reached out to me. Kim is a mother of three daughters – two biological, and one adopted. She found her daughter through a MARE portrait and reached out to share her experience adopting a teen from foster care. “You will change the life and direction of this young person. This is not a distant, faceless statistic. This is Veronica. Veronica swims in circles, waiting for her future to start. Will ever find that loving home, with the mother she dreams of? Or will she be left to age out of the foster system, poured into the world without hope or guidance? 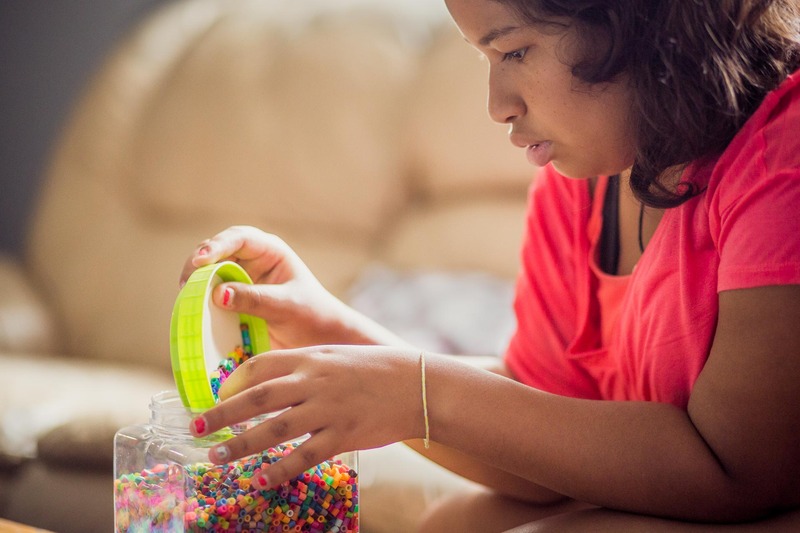 Luckily, even though many of us are not prepared to adopt or foster a child, you can still do something to help Veronica and girls like her find their way home. 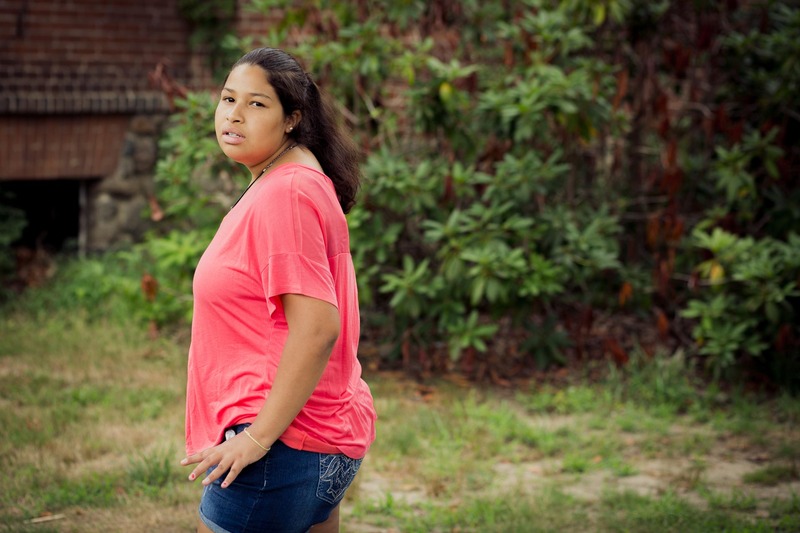 Veronica is one of hundreds of girls across the state of Massachusetts searching for a family. Email Rebecca C. over at MARE to learn how you can help. But before you do – do Veronica a favor and encourage your friends to share this story so it can reach her mother. Does your heart recognize the girl in these pictures? Could you be the one she’s been waiting for? Click here to fill out an Information & Request form. (You’ll need Veronica’s Registration number: #3909.) Or email Rebecca C. to find more ways to help Veronica, including sending cards or well-wishes. Whether you have a lifetime to give, or only a minute, click here to find 30 ways to help kids in foster care. Speak with your employer or community organizations about employing teens in DCF. Internships and entry-level positions provide job skills and confidence to kids searching for work. Click here for more information on the DCF Summer Employment Program. And for the third time (because it’s really, really important) – encourage your friends to share Veronica’s story so she can find her mom! This post is the third in the ‘Somewhere Out There‘ series sharing the experiences of kids in foster care. Names and locations of minors may have been changed to protect privacy. Ashia Ray Photography does not receive any goods or services in exchange for recommending vendors in this post. This post may contain Amazon affiliate links (all the profits fund this series). If you’d like to support do-goodery and the ‘Somewhere Out There’ series, find out how on Patreon. Leave a comment below to let Veronica know she’s not alone – you will join in the search for her mother.